If you knew there was an industry networking event taking place with all your existing and future clients in attendance, would you go? Well, guess what? You’re in luck. It’s happening right now. And it’s called social media. There are currently 2.3 billion social media users worldwide, and that number increased by an astounding 176 million within the last year. Social media platforms such as Twitter, LinkedIn and Facebook have profoundly changed the marketing landscape, enabling businesses to enrich their brand identity while simultaneously entrenching relationships with their clients. If your company hasn’t yet developed a presence on platforms such as Twitter, LinkedIn, or Facebook, here are four reasons why you shouldn’t wait to get started. The fact is that your clients are already at the party. If you don’t make an appearance, not only are you missing an opportunity, but you risk being perceived as “behind the times”. There’s a reason why 88% of companies are using social media as an integral component of their marketing strategy. Social media sites hold an incredible amount of information about their members- and they can pass that insight along to you, allowing you to target a specific audience with impressive accuracy. When a well-crafted message is delivered to the appropriate individuals, new business is bound to happen. As we discussed in a recent blog post, thought leadership marketing is an extremely powerful tool for connecting with B2B clients. Given that 90% of pre-sale research is conducted online, it’s crucial that businesses position themselves as subject matter experts on the web. Discuss your clients’ problems and present them with the unique solutions that set your business apart. In today’s marketplace, if your expert knowledge can’t be found online, your clients will assume that you don’t have any at all. 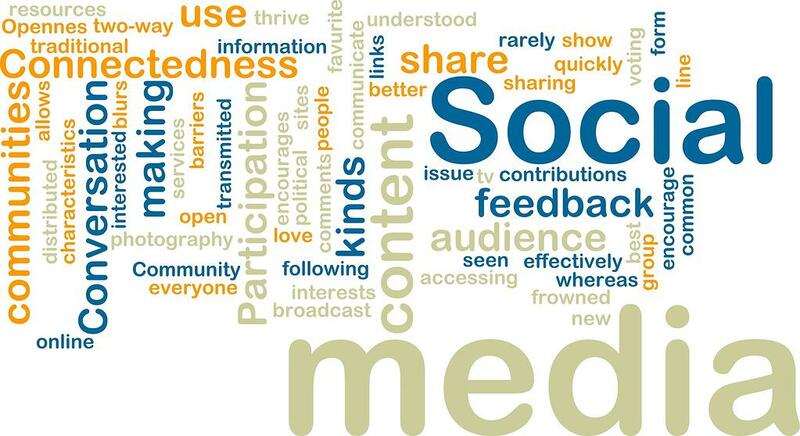 Use social media to distribute your web content to a wider audience and watch the “shares” rise. Social media takes customer service to a whole new level. Platforms like Twitter and Facebook enable customers to reach a company quickly and simply, without all the red tape. It’s been proven that 78% of Twitter users expect a response within one hour of contacting a brand via the social media channel. Meet that expectation and you’ll not only find one loyal client, but benefit from that client sharing their positive experience with their “friends” on the same medium. If you’re lacking social media experience, or you’re struggling to maximize the benefits of your current presence, don’t fret. Contact one of our marketing experts at The Mezzanine Group and begin today to see the results you’ve been waiting for.